Please note that this current website does not have a shopping cart. 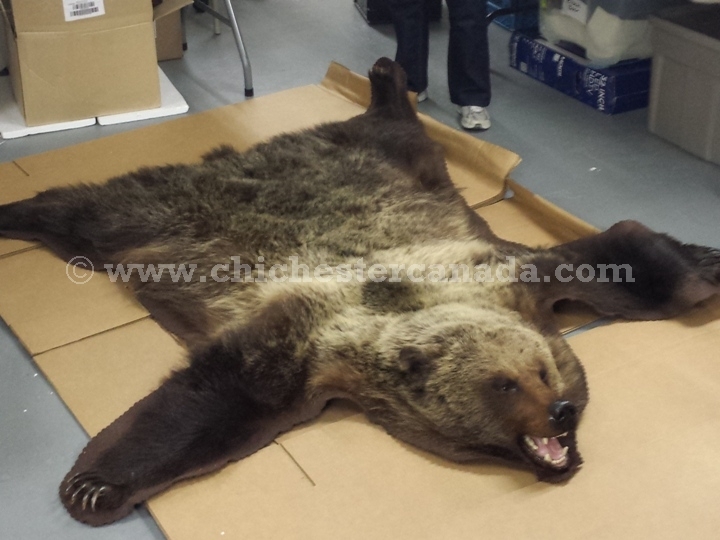 To buy our Grizzly Bear Hides online, please go to our e-commerce website at NaturalExotics.ca. 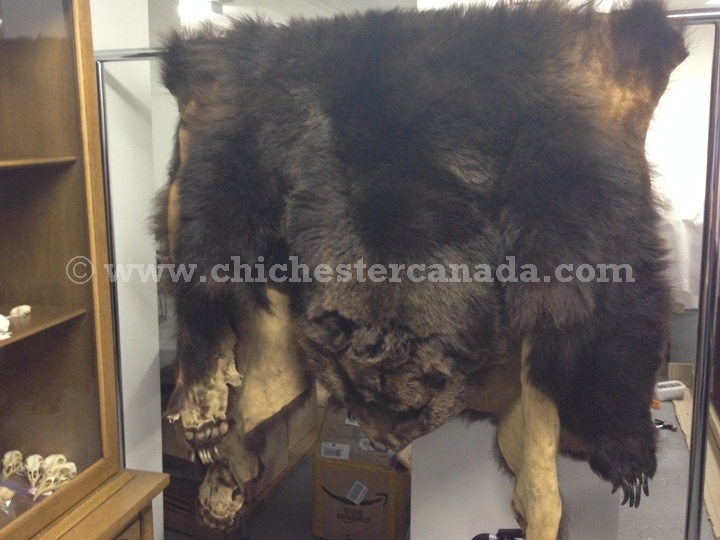 These are tanned grizzly bear hides including claws. The mounted grizzly bear rugs are mounted on brown felt. See the galleries below for available hides in stock. If you would like to buy a bear hide that is listed as sold out, please call us at 1.800.206.6544. We may be able to find another one for you. Genus and species: Ursus arctos. Wild. CITES II.